As the year draws to a close, and we prepare to embark on another 365 days’ worth of adventures, I felt like it was the perfect time to reflect on some exciting and memorable moments in my life. I’ve been blessed this year with amazing friendships, wonderful vacations, and adventures galore. Even with my current job situation being less than ideal, I can’t complain – I’ve had quite a great year, and some of those bleak and frustrating times served to remind me of this. So are you ready for twelve memorable moments from the past year? Some are serious, some quite random, and some just downright silly. But they all happened in 2012, and all happened to me. If you’re ready to read, let’s go! I’ve known Karlee (@karleetron), Leah (@bookgirl88), Simi, and Amy for a long time. Simi and I have been friends the longest, having met in eighth grade. 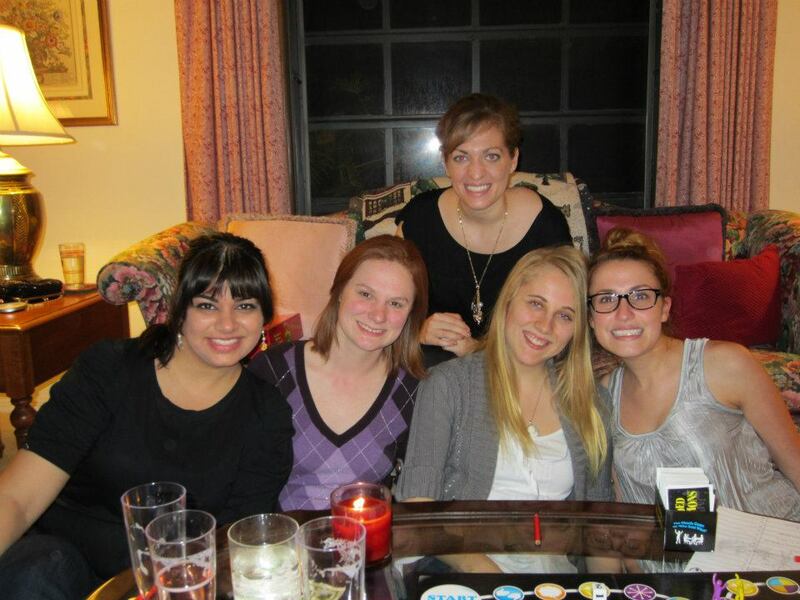 I met the other three ladies in this photograph during my high school years. And what’s amazing is this: we are STILL great friends. We all traveled different directions for college. We never all lived in the same city for very long. Some of us would go weeks or months without speaking and then come home for Christmas break from college and pick up exactly where we left off. It’s something that I was talking to Jaime (@elspunko) about earlier this weekend, actually. When you leave high school and enter collegiate life, you begin to find yourself with many “We should totally hang out soon!” friends. Those are the friends you see every few months when you’re in the same city. You profusely swear you’ll find time to hang out… and then never do. I have a lot of those friends and, admittedly, I’ve been that friend to others. But Karlee, Leah, Amy, and Simi are different. We don’t always agree and we don’t talk every day. But New Year’s Eve was a low-key night spent together playing Loaded Questions (which was side-splittingly hilarious), eating snacks, watching the finales of 90s sitcoms, and then toasting at midnight to the beginning of a new year – one filled with friendship and fun. 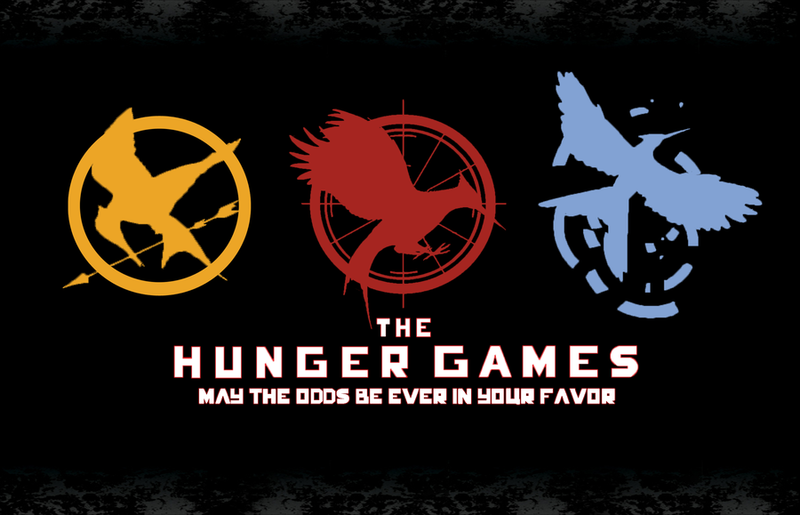 I caved after a while, hesitant that The Hunger Games would be a series that was too hyped for its own good. I’m the kind of person who has a very difficult time watching a movie if I haven’t read the book counterpart. So I decided to give the books a chance. And boy, was I hooked. What Collins does, however, is make EVERY chapter a cliffhanger – or, in the very least, so intense that you desire to read more. I thoroughly enjoyed Katniss Everdeen as a heroine. She was flawed and brave and insecure and brilliant. Basically, Collins created everything she needed to in a heroine to make her as believable as possible. And, you know… she’s not Bella Swan. As I’ll talk about further down the list, Community fans suffered a pretty dark year. Between two hiatuses, one cast member leaving, and the firing of the show’s creator… 2012 wasn’t super great to us all. 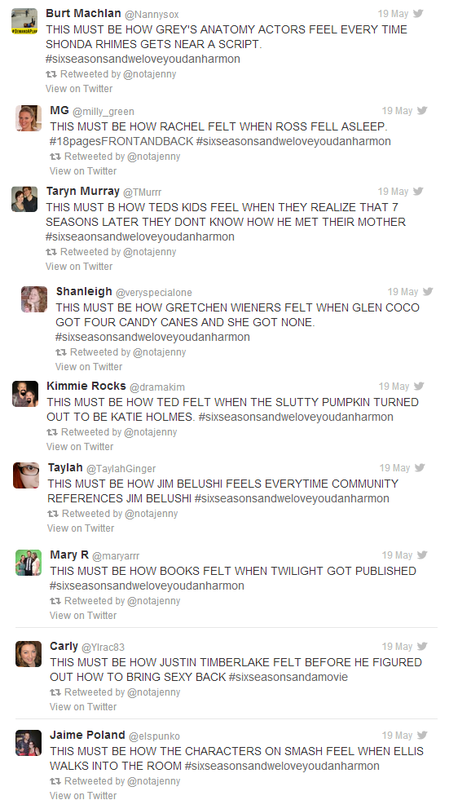 The night that the news of Dan Harmon’s firing leaked (May 19, 2012), @TweetingKerry unintentionally started a movement that would get not one, but multiple members of our Twitter “study group” thrown into Twitter jail, cause the hashtag to trend in the United States, and also provide some of the best one-liners and jokes ever to grace the social networking site. It started off innocently enough – Kerry had tweeted a joke to ease the pain of Harmon’s firing (THIS MUST BE HOW THOR FELT WHEN HE REALIZED LOKI HAD BETRAYED HIM). Her jokes were capslocked and followed the format: “This must be how ____ felt when _____,” basically naming events that were awful and painful, and yet also made us laugh because of the format of the tweet. 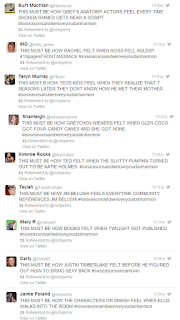 She then used the hashtag “sixseasonsandweloveyouDanHarmon” after. She tweeted different jokes a few times, before more of the members of our group caught on and followed suit, creating their own. And then, it became an all-out Twitter BONANZA, for lack of a better word. EVERYONE was tweeting jokes and one-liners utilizing Kerry’s hashtag, causing it to trend in the United States for a bit. It was miraculous and hilarious and an amazing way to bond us together during a really dark time. #9: Jenn – The Intern! A lot of you may not know this (or maybe you do), but I, in addition to having a full-time job, work as an online intern for a place called Narrative Magazine. I began working as a Flash Fiction intern in February of this year. I worked on literary journals throughout nearly my entire college career and, upon graduation, kind of felt… a void. Here’s the thing: I LOVED what I did. I enjoy reading stories and critiquing them and analyzing them and talking about then with other people. #8: Jenn’s Friends Introduce Her to Shows. Shows Made of Awesome. 2012 was the year of television, for me. In addition to some of my favorite shows returning (Community, New Girl, The Voice), other shows made some appearances in my life, thanks to my friends on Twitter. I’m the kind of person who will watch something that EVERYONE talks about if you talk about it long enough (and loud enough). So, it was with this spirit that I marathoned both Suits and Downton Abbey this year. I can safely say that I do not regret either decision. Suits is perhaps one of the greatest shows that too few people know about, and Downton Abbey is… well, it’s a British show, so you know it’ll be amazing and then crush your soul. Besides old shows, I was also introduced to awesome shows like Ben and Kate, The Lizzie Bennet Diaries, and Squaresville this year. All in all, it was the year of welcome television introductions! For reasons that will become evident once you finish reading this blog post, a special gift was bestowed upon me earlier this year – a special drawing by the very talented Julieta Colas (@jujujulieta). As someone who only took a grand total of ten art lessons her entire life and couldn’t do much with it to SAVE her life, I always admire people with artistic and creative abilities. And Julieta is one special woman. She’s translated her love for Community, its characters, creators, and the fans themselves onto paper and has created some amazing works of art in the process. 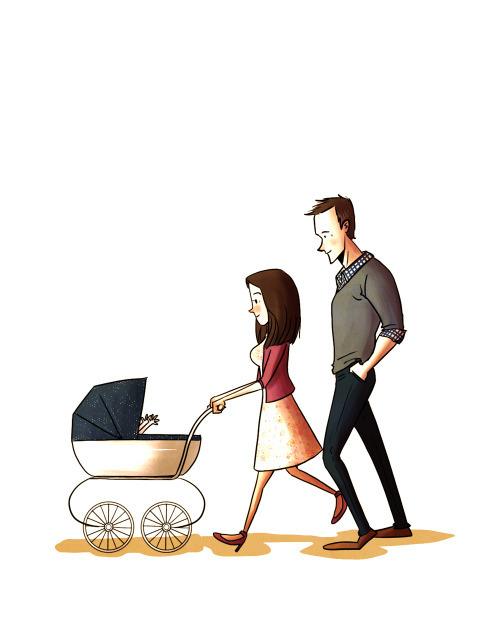 My commission to her was of Jeff, Annie, and a baby. Now the piece sits, framed, above my closet beside another special reminder of Community. Every time I look up at it, I just smile, thankful that I have such amazing and talented friends. On a very special day in my Twitter study group’s history, two monumental events took place. The second, I will share with you currently: we created baby hashtags. And I know what you’re probably thinking. You’re likely thinking: “… what?” Exactly! @maryarr (who had, at the time, a very special and unique hashtag for her baby - #babyarrr) told me in March that she would gladly bestow her baby upon me, just not his hashtag. Then, she noted that I could have my own baby hashtag - #notababy. And, much like everything else that happens with my group of friends, the conversation spiraled from there. Soon we had half a dozen baby hashtags, each with their own personality traits and each – obviously – being friends with everyone in the group. Some of the imaginary babies became best friends, some merely followed the others around, and some became leaders. If I told you that my friends were crazytownbananapants, you’d believe me… right? 2011-2012 was a pretty dark year for Community. We managed to make it through one hiatus by forming flash mobs, writing campaigns, spreading news and ideas via Twitter, creating letters and signs, etc. and thought to ourselves: “Surely, this is the end.” At the end of 2011, when it was clear that Community would not return to television come January, we – the fans – did everything in our power to make sure that our voices were heard. We didn’t know what impact they would have, if any, but we figured that we HAD to try. And try we did. We were heard. The show returned to the air in March, and it was unclear for a while whether or not there would be a fourth season of our beloved show. Still, we campaigned on. We trended on Twitter. Neil Goldman hosted weekly Twitter giveaways, leading up to the March 15th premiere date to generate publicity for the show (and to give away some cool Community swag to its fans). And we thought that the worst was over. Until the show’s creator was fired. And then the show was removed from the air a mere one week before its slated (and already delayed) return date of October 19th. When we thought our show had reached its darkest hour, one thing was abundantly clear – we stuck together. Sure, we don’t always agree on things like favorite characters or who should be romantically involved, but at the end of the day we are friends and fans of the SHOW. I graduated in 2011 from college with a Bachelor of Arts degree in English and immediately went into the full-time workforce. The job wasn’t terrible and the co-workers were awesome. But, as time wore on, there became more stress and I found out that I wasn’t going to be doing as much writing as my job title and description implied. I did more technical things than I ever anticipated and the weight began to wear on me. 2012 was actually a pretty rough year in terms of work – at the beginning of the year, there were massive layoffs and people quitting (massive for a company of 30-ish means about 10 people left). Needless to say, it was rough for me to keep a positive attitude. I cried at home on more than one occasion. And that’s when I decided that I wanted to actually DO something that made my degree feel worthwhile. I had already been working as an intern with Narrative Magazine for a while when I decided that I wanted to self-publish my first book of poetry through a site that was recommended to me – CreateSpace. This site partnered with NaNoWriMo writers to publish the books of those authors, so I thought that I would give the site a shot. I designed my book, carefully selected about thirty of my best poems, and published. Honestly, I’m quite proud of the itty-bitty book. A part of that is because of the fact that it is MINE. It’s something that I created, I own, and I am proud of as a work of writing. I am so grateful to my friends and family who purchased copies. I never anticipated the book make more than a handful of sales, but even so, I am very pleased with the way that the project came out. It’s definitely one of the biggest highlights and achievements this year. I began this blog back in 2011 when the third season of Community aired, and recently crossed my eightieth post here (WOW). A huge milestone for me this year though was hitting 20,000 views on the blog itself. As someone who has never run a blog before and kept it on the down low for a while, the fact that twenty-thousand people have read posts on this site just fills me with utter joy and bewilderment at the same time. I’m only one person who writes primarily about Community (and then some random thoughts about other shows, too), so to have hit this milestone and to know that it was all because of YOU all… well, it just honestly made my year. 20,000 views may not seem like a big deal to people who run blogs for a living. Heck, to them, that may seem like a completely amateur event to celebrate. But I’m proud of this blog – proud that I managed to stick with it for as long as I have, proud that you all seem invested in reading my thoughts and opinions, and proud to know that I always have a place where I can express myself in writing. So thank you ALL – to those of you who have been with me from the very first entry, and those of you who have found this blog from friends, relatives, or celebrity retweets… you guys are the absolute best and I am blessed to be an author of entries for you. I had, prior to this summer, only been out of the country three times in my life – twice were to Brazil on a high school mission’s trip, and one other time to the Bahamas on a cruise. So, when my family announced that we would be spending a week in Italy this year… well, I was just thrilled beyond belief. It was a momentous year for my parents – my mom turned 50 in May, my parents celebrated 25 years of marriage that month as well, and it was my dad’s birthday in July. To celebrate all of these, we decided to take a trip to the country of our ancestors and enjoy a week of summer there. I probably don’t need to tell you that I am yearning to return to Rome and Sorrento, do I? If you managed to read my post-Italy blog entry, you know how much I loved every (105 degree weather) moment of it. From the brief layover in London to the amazing time spent exploring the Colosseum, the Vatican, and St. Peter’s Basilica in Rome to relaxing on the beautiful shores of Sorrento… everything about Italy was just perfect. We ate a lot of food, drank lots of wine, and stuffed our faces with delicious Italian desserts. We enjoyed life, and realized that this is EXACTLY what should happen. It’s amazing, because in Italy, everyone slows down. I’ll never forget the first day in Rome: my family ventured to a little pizza place near our hotel and ordered our food. There was a group at a table in the corner, just ordering dessert. We finished our bread, drinks, and pizza before they had even finished their dessert. Everyone was so relaxed (and walked everywhere), that it was a welcome break from our hectic, always-busy American lives. If someone told me tomorrow that I could have an Italian villa in Sorrento, overlooking the Mediterranean… I would have to leave this post unfinished until I completed packing my suitcase. Not everyone actually knows this story, because I’ve never written it down before. In fact, even people who are involved in this story don’t really know the details of it. So, here goes: Neil Goldman wins the Person of the Year Award this year in my book because of something amazingly gracious and wonderful and generous that he did for me and some friends this past year. On March 15, 2012 (as I mentioned earlier), Community returned from a long and dark hiatus. That morning, before I went to work, I uploaded a video and tweeted it out to all of my followers. It was a thank you note – a sincere heartfelt love letter to all of the people who made up my Twitter “study group” and went from just being random people I followed on the social media site, to actual friends that I talked with on a daily basis. These are people who prayed for and encouraged me when my work situation was rough, who cheered me on when I got my internship, and who were there for me when I needed people to vent to. On the night of the Community premiere, after the episode had ended, I was lounging around with my @ replies screen pulled up on my laptop while I waited for a link to the episode to magically appear. A notification popped up and I opened it, breath catching in my throat as I read the words: “Neil Goldman followed you.” I blinked a few times, wondering if I had miraculously won (FINALLY WON, because I never win any contests) one of his contests. Now, I’ve gotten DMs before (Joel’s sent me so many that I just giggle whenever I get them now), but THIS particular DM is the only one to ever leave me physically shaking afterward. Since my phone was nearby, I immediately texted Jaime (because… let’s face it, I NEEDED TO TELL SOMEONE) with this insane news. We both freaked out and I asked her my next important question: who should I include? In an important aside, here’s what I’d like you to know: if you never received a present from Neil on my behalf, it’s not because I don’t love you. When Neil asked for names, Jaime and I came to the agreement that we would have to keep it relatively small, since he was already being so undeservingly generous. Ten was the maximum for me, and I felt like even THAT was a lot to ask of him (but then again, I have a REALLY difficult time accepting gifts from people, so I would have had a hard time if he had just asked for my information!). But the point is this: I love you guys. So very much. No matter if you were or were not included in that list of people, you guys have made every day such a glorious experience in social media and in friendship. So… there’s my brief aside. My reply to Neil was: “Seriously thank YOU. Wouldn’t be together if it wasn’t for the show. We became a community. :)” He, of course, affirmed this and noted that it was very nice to see us all become so close. After my mini-anxiety attack of pure and utter joy, I began to calm down… but only long enough to celebrate with my friends. Because really, that’s what this fandom is all about – friendship. In a show whose main purpose is to bring together unlikely characters and form inseparable bonds between them, it’s only fitting that the fans of the show managed to do the same thing. I’ve met so many amazing individuals, thanks to this show, that I would not have known otherwise. Moreover, Neil Goldman? He didn’t HAVE to do what he did. In fact, it’s mind-boggling to me that he DID. Here he is, someone who produced a show that I loved. And the reason that he gave us presents we didn’t earn was because of the mere fact that we LOVE the show. We exist. THAT is why he thanked us. Because we love each other and the show. A week after the DM occurred, I opened the mailbox to find a packaged envelope from Paramount Studios. As I tore open the present, I was greeted by a “Modern Warfare” script signed by Joel McHale. And I grinned like an idiot… not necessarily because of the script itself (though that was a HUGE part of it), but because of what that script meant. It meant that the people who MAKE the show care just as much about us little, insignificant, Nielsen-uncounted viewers as we do about THEM. Moreover, they don’t think that we’re little or insignificant at all. That, folks, is what love looks like. And THAT is how the Community cast and crew feels about us. So what about you all? Has anything exciting or momentous occurred in 2012 that you’d like to remember? What are you looking forward to in 2013? Drop a comment below and let me know! And merry Christmas, officially, on the East Coast! On above post misspelled reading. Me fail English. I know that unpossible.